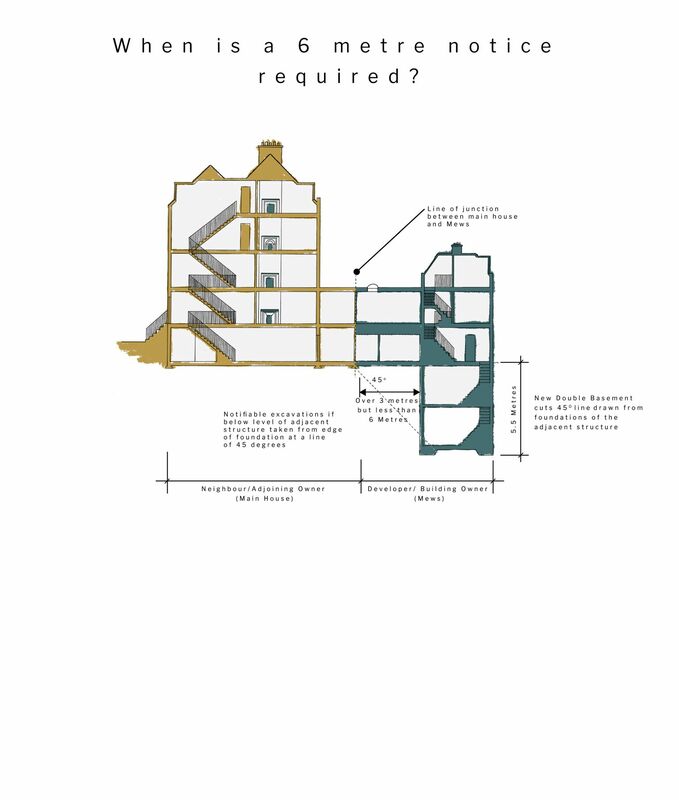 This post addresses basic Party Wall legislation and procedures in more detail. 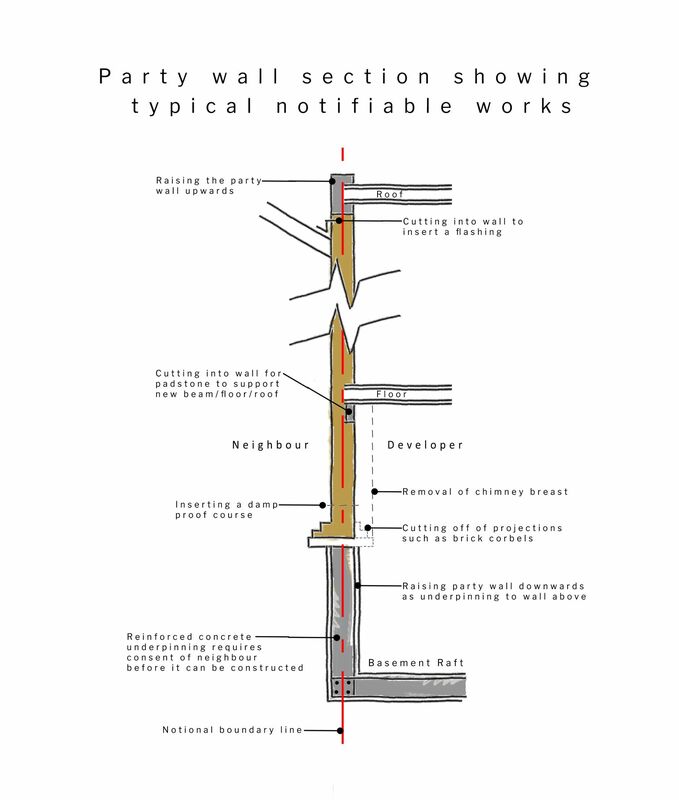 The subsequent posts deal with the practical application of the legislation; typical Party Wall works and other possible issues for Building Owners and their neighbours. 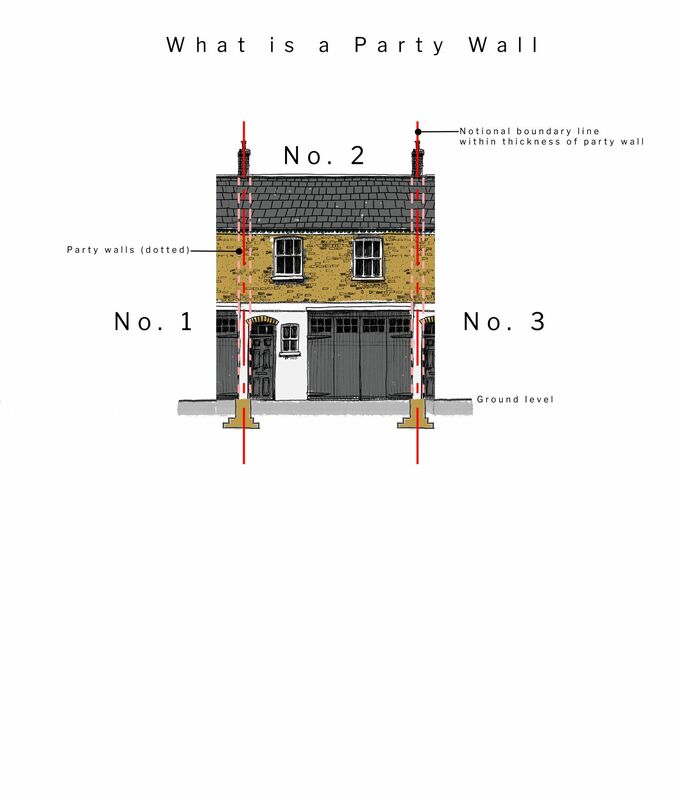 As explained in these posts, sooner or later most Mews owners are likely to become involved in Party Wall matters; either when you undertake your own works or if one of your neighbours undertakes alterations or an extension. The inclusion of abbreviation etc. 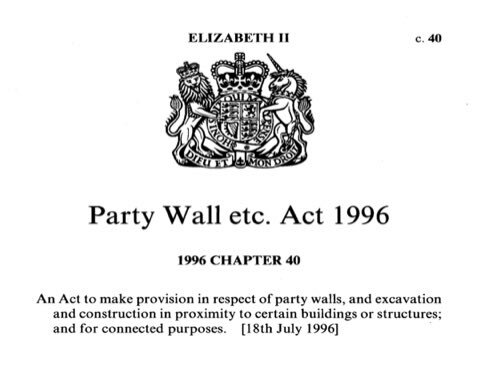 after the words Party Wall is significant since the Act deals with excavations near party walls and other buildings or structures as well as works directly to the party wall. The first issue to consider relates to jargon and legalese. All legislation employs such convolutions to some extent and the Party Wall etc. Act 1996 is no different in this regard. It is particularly clunky in its definition of the roles and responsibilities under the act – it refers to Building Owners and Adjoining Owners where ‘developers’ and ‘neighbours’ would otherwise be used. There are sound reasons for this terminology but it can be confusing. As this is a post rather than a more formal treatise more colloquial terminology is adopted to ease any confusion. In writing about London Mews and in trying to be engaging there are obviously parts of the Act which are not covered fully so I must impress on any one reading this or any other post that this is not intended to replace a more comprehensive study text or the need to refer to the Act itself when agreeing formal matters under the Act. Notices – there are a number of notices referred to in the Act, and it is the giving of these that triggers party wall procedures. 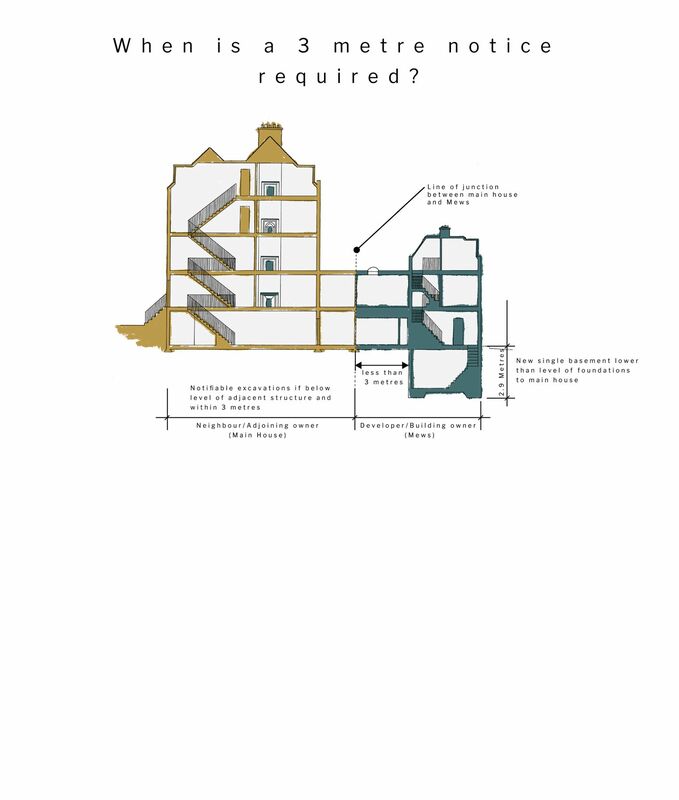 They must be correctly addressed as the Act requires and ideally be sent by a surveyor to make sure time is not wasted on technicalities to do with the serving of the notice which can be frustrating all round. 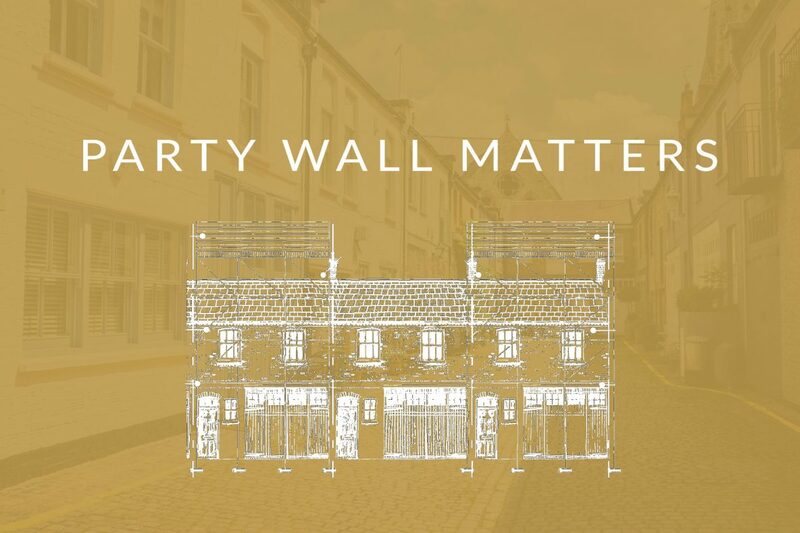 Party Walls – walls that form part of a building and stand on the land of 2 or more owners, possibly as part of a building or as a freestanding wall, or walls on one owners land used by the other owners.